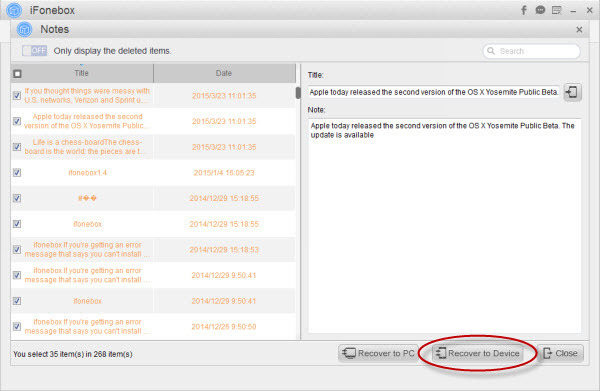 How to recover lost notes caused by updating to the latest iOS 8.4 from iTunes backup? Lost notes in the process of updating to the latest iOS 8.4? Well fear not. 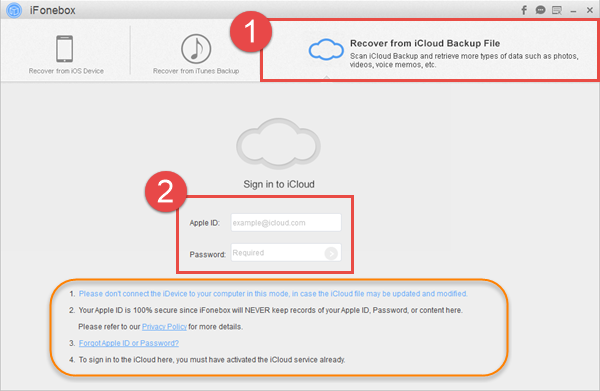 You can choose to recover the lost notes from iTunes backup file. Notes plays important role in our daily life and work, we will fall into depression if notes were lost, especially when we choose to update to the latest iOS version, for example iOS 8.4, only to find that the notes were gone. And we are desperate to find a solution to recover the lost notes, no matter with iTunes, iCloud or third party software particularly recovering lost iOS device data. What is the safest way to recover lost data caused by iOS 8.4 updating? As mentioned, there is more than one method to recover the lost or deleted notes. Provided that you have created backup with iTunes or iCloud, you can definitely choose to restore your iPhone or iPad with iTunes or iCloud backup file. This is what Apple officially recommends, ensured to be effective, but not safe enough nonetheless. If you created backup after you lost the notes, all the data previously saved to iTunes would be erased forever, while if you choose to restore from previous iTunes backup file, newly generated data, including newly added contacts, notes, photos or anything else would be overwritten and erased too. So I would like to suggest iFonebox which is specialized iOS data recovery software to selectively recover lost or deleted notes and transfer back to iOS 8.4 iPhone or iPad directly. iFonebox is professional software particularly developed for iOS device users. It allows people who have lost contacts, notes, messages, photos, whatsapp messages, and voice memos etc selectively recover from iPhone, iPad and iPod Touch as well as from iTunes/iCloud backup file. Besides, you cannot only do editing on the exported contacts, notes, and messages etc but also select whatever you want to recover. You can download a free trial version to have a try before you pay for the full version. Now let’s get start to recover the lost notes due the iOS 8.4 updating. Step 1: Install and run the full version of iFonebox and then choose the recovery mode of “Recover from iTunes Backup File”. Instantly, you will be presented with the interface requiring of selecting the backup file for your iPhone, iPad or iPod Touch. Step 2: Choose notes to recover by clicking on the icon of notes. Step3: Take a preview at the exported notes and do some editing if you need before recovering. If you just want to recover the lost or deleted notes, you can check to “Display only the deleted items.” And you can choose whatever you want to recover. Besides, you can recover the exported notes back to your iPhone, iPad or iPod Touch directly by clicking “Recover to Device”.